"Adrian Kate Maloley get down here right now"my mom yelled at me. "You&apos;re cousin Nate called and he wants to got to the mall but he needs a ride since he is in town". I nooded my head yes an got ready to go. Nate Maloley was my cousin, he was in town for a while with all his friends. I got ready for the mall. 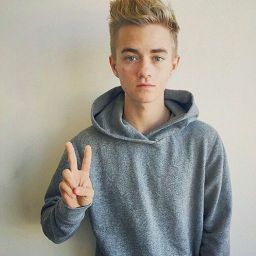 I knew Jack J was gonna be there, an he happened to be my crush. 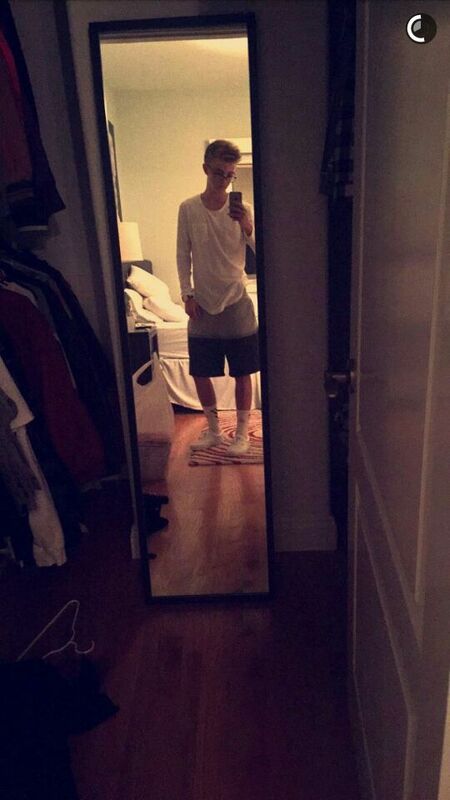 Ever since Nate an Jack met I have fallen in love with jack j. Today I wore something nice. I put on a black and grey romper, black doc martins, and a grey cardigan. I look fantastic. I put on the basic makeup. Winged eyeliner, concealer, and mascara. I walked down stairs and saw almost everyone Emily (sams sister), jack j, Mallory (jack js ex), Sammy, Nate, and jack GS ex Leigh. "Wow who brought in the ex parade"I said. "We are all friends here"jack said. "Mom how are we all gonna fit in my car"I yelled. I grabbed the keys off of the counter. We all packed into the car. Mallory an Leigh in the last row leaving one seat. Sammy, jack j, and Emily in the second row, an Nate and I upfront. My mom bought this car for room but we only needed it for one time. We started blasting music and making snapchats. We all took a group car selfie and I posted it with the caption "fun day with everyone, just missing g". They all said Madison wanted to hang with him, I simply rolled my eyes. We all walked into the mall, it was pretty boring. Johnson an I kept going off and making snapchats. I was skipping an I thought Jack put his phone away, but he didn&apos;t. He was filming me. I turned around an started yelling. Everyone turned. I stopped and walked into the nearest shop. Which was Spencer&apos;s, the most dirtiest yet cool store ever. I walked out and jack started laughing at me. I just gave him the finger an fake laughed. We ended up catching the rest of them. The boys went off to pacsun, so us girls would meet them there. We walked into Victoria secret. A we were all looking though racks Mallory spoke up. "You should get something to impress jack"she said. "Come on ad we know you like him"Leigh said. "Its obvious he like you too" em said. I just shook my head no. But the girls insisted that they would shop for me at Victoria secret an surprise me. I just shook it off. We finished and walked back to pacsun. I got a really cute skirt an then we left. "Let&apos;s go back an change to go to the lake, I&apos;m sure one of the girls have something you can use"Nate said. "Nah she has something in the bag" Leigh blurted. I drove to the hotel and got dressed. "Its in the biggg bag an wear all of it"Leigh said. I opened the big bag to see a bikini. It was maroon with lace at the top. And the other was a see through black cover. I shook my head knowing she planed this. I put it on and looked at myself. I actually looked good. I walked out of the bathroom. And i got a long line of zayummmss coming from the girls. I grabbed my ray bans and we walked out. The guys were already in the hall way waiting for us. As we walked out I saw Jack an Sam bite there lips. I gave props to Leigh. I saw Nate slap their chests and get mad. Sam just laughed an we left. We arrived at the lake and set our stuff down. I took off the bathing suit cover and as soon as it fell on the floor someone lifted me up. I screamed until I was thrown in the water. I looked up an saw Jack laughing. Just then I grabbed his arm and pulled him under. We surfaced and everyone at shore laughing. But we didn&apos;t pay attention. Jack was just holding my wrist laughing. My laugh was interuppted by jack kissing me.